With the nomadic lifestyle of perpetual renters in London these days and having to share with multiple other tenants often means that kitchen space is sparse. Royal College of Art graduate, Yu Li, has perfected the answer to this with this compact, portable kitchen. ‘Assembly’ contains seven pieces that should be everything you need to whip up a meal in a small space or just to defeat that kitchen ‘traffic-jam’ that occurs in house shares when everyone want’s dinner at the same time. Li says that the traditional kitchen set up is ideal for a nuclear family but not so much for the millennial lifestyle a lot of us are living currently. 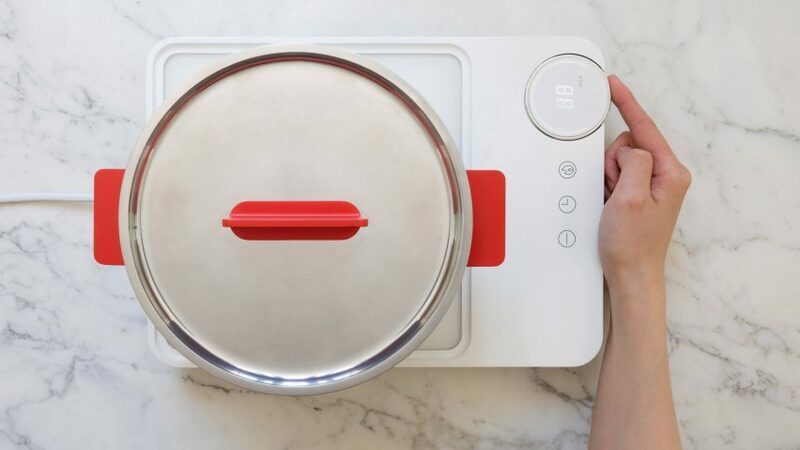 The set includes a cutting board, a pot, pan, induction hob, utensil wrap, cutlery, a dish rack and a handy portable carry box to move it around in. 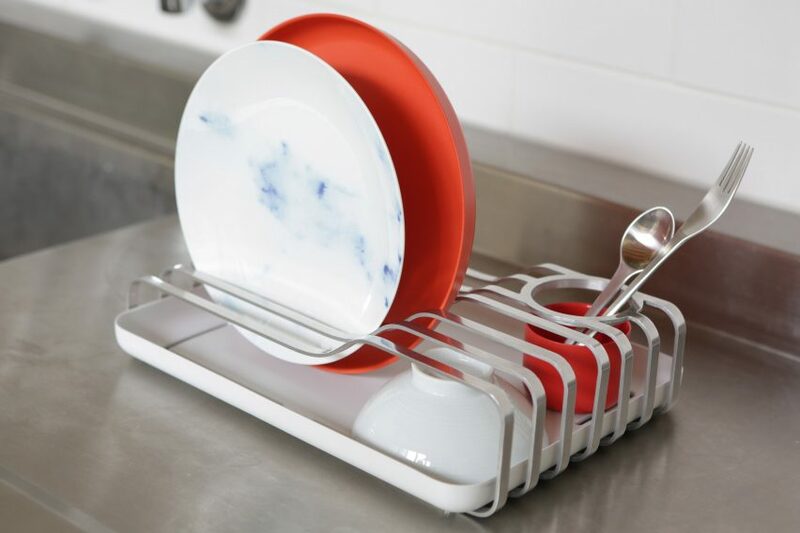 The practicality of the design is such that some of the pieces are multipurpose, with the back popping off to become a tray which can also be slotted into the drying rack to collect excess water if you don’t have a standard drying section next to your sink. The pan handles can also be removed to be used as tongs so you aren’t having to carry extra utensils. This would also make sure that there is no sign of clutter in your kitchen with excess appliances or drawers full of utensils and mismatched sets of crockery. Have you found yourself living in a houseshare or place with a kitchenette? This could be the answer to your kitchen needs but make the most out of all those small spaces in your house with these top tips! Previous Previous post: Where do we store your stuff?